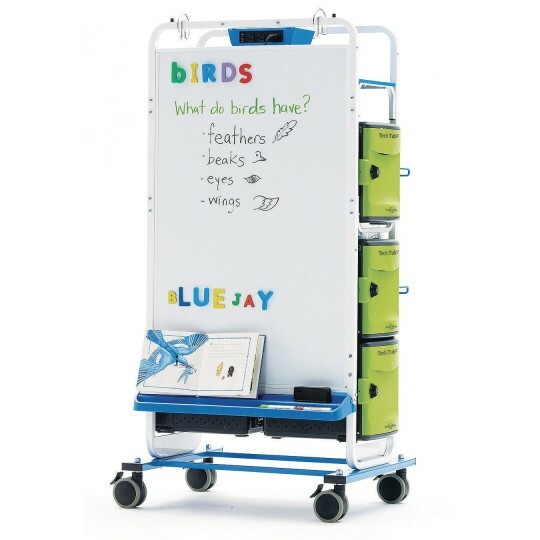 Optimize space in your classroom with the Copernicus Premium Tech Tub2® Dual Duty Teaching Easel. 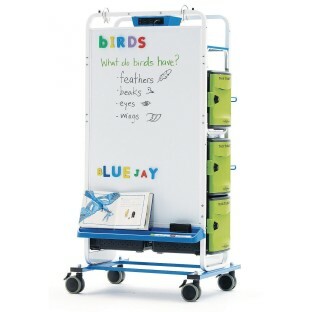 This versatile easel features a large magnetic whiteboard, plenty of storage compartments and four Premium Tech Tub2® charging units built right in. 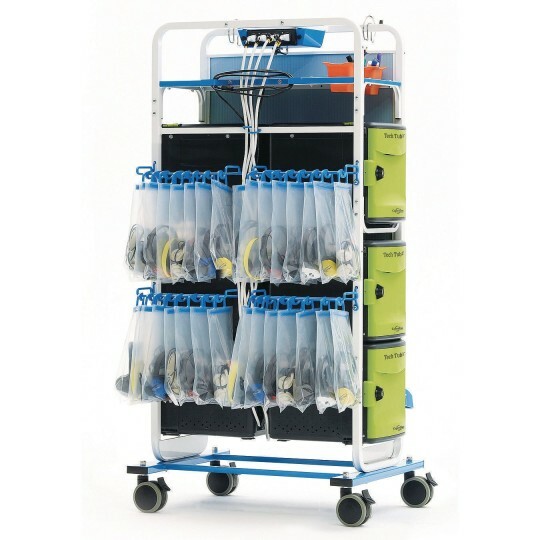 Each Tech Tub2® allows you to safely and securely charge and store your laptops or tablets with the additional feature of syncing your devices. Adjustable dividers prevent your laptops and tablets from colliding, and built-in cable management keeps cords neat, organized and out of the way. The locking doors come with two keys for your convenience. 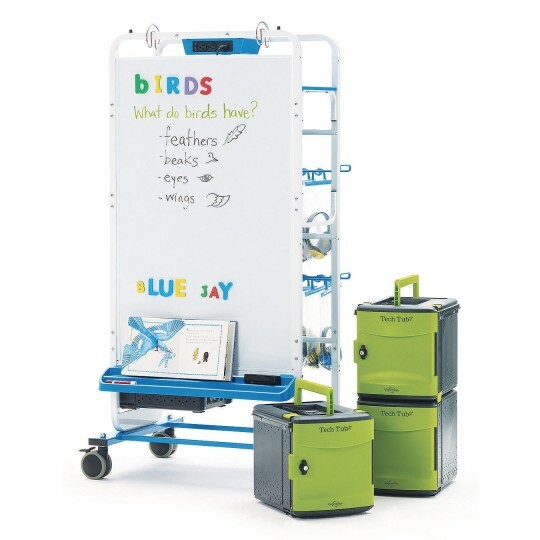 In addition to the Premium Tech Tub2®, the easel comes with two tiny tubs, Power Timer for charging devices, a headphone rack with 32 clear pouches, snap-on chart paper hook, and a book ledge that locks safely into multiple positions. 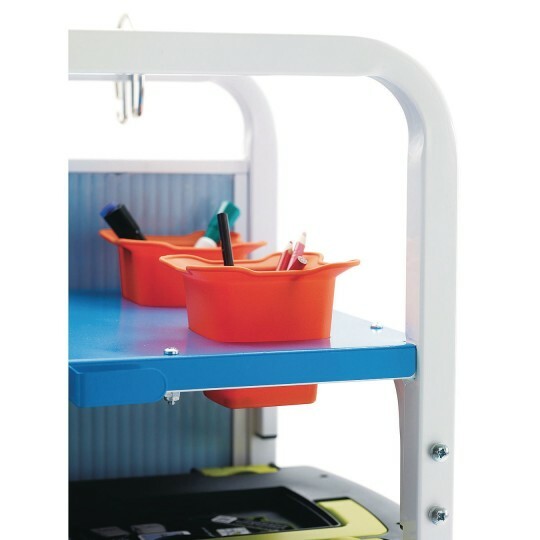 Moves easily on 4" locking casters. 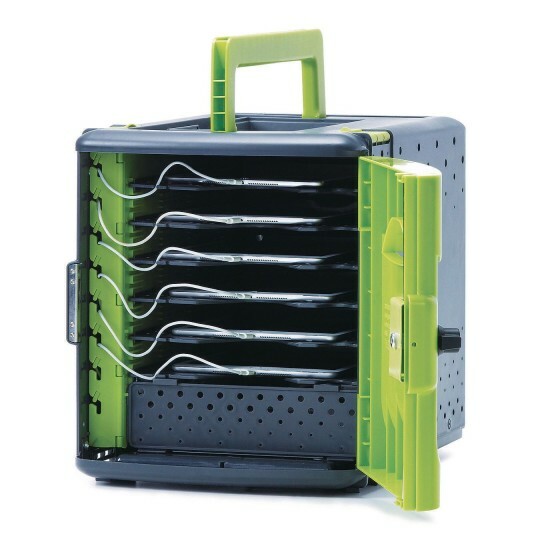 The Copernicus premium Tech Tub2® comes backed by a lifetime warranty; the included power strips are backed by a one-year warranty and the easel frame is backed by a five-year warranty.